Devastating Extreme Weather is Linked to Human Caused-Climate Change??? “We are making the world a more violent and dynamic place . . . that is what global warming is about,” says environmentalist Bill McKibben on Democracy Now! (26 May 2011). So far, 2011 has already become the deadliest year for tornado outbreaks in the United States since 1953 with more than 500 people killed. 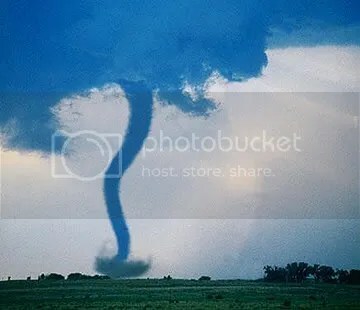 While audiences are seeing the warning “severe weather” increasingly flash across TV screens, little connection has been made to the role humans have played in driving climate change. McKibben is the founder of the grassroots climate campaign 350.org and has a new article out called, “A link between climate change and Joplin tornadoes? Never!” He is also the author of many books including, Eaarth: Making a Life on a Tough New Planet. A team of international experts brought in by the UN’s nuclear agency is investigating the accident at Japan’s stricken Fukushima Dai-ichi power plant. The team plans to travel to visit the plant and two others starting Thursday. (25 May 2011). Michel Warschawski: Israeli PM makes no attempt to even appear willing to compromise, makes sure no peace talks are possible. Earlier this week the U.S. President left the hallowed shores of America and flew to Ireland where he shamelessly publicised his Irish roots: “I am expecting to go not only to all the famous sites, but also to go to Moneygall, where my great-great-great-great-great grandfather hails from”. Then he hopped over to England, where he received a splendorous and royal welcome. In the International Business Times, Anissa Haddadi remarks cynically that “many accused him of basking in the massive popularity of the Queen in the United States, especially in the wake of the Royal wedding, watched by more than 20 million Americans a month ago”. But the real reason for Barrack’s European adventure this time around has to do with the G8 get-together in ‘the French seaside town of Deauville on May 26 and 27 for an annual summit’, where ‘[d]iscussions will cover unrest in North Africa and nuclear safety, as well as the race to name a new IMF head’ as reported by the news agency Reuters. And, just to remind ourselves, here is a handy summary also provided by Reuters: the‘G8 is an unofficial forum of the heads of the leading industrialised democracies: Germany, France, Britain, Italy, Japan, the United States, Canada (since 1976) and Russia (since 1998). The European Commission has also been represented in all the sessions since the Ottawa Summit in 1981. The first summit in France in 1975 was called to settle a dispute over currencies, but meetings were soon expanded to discuss broad economic policy matters. The G8 countries account for 15% of the world’s population, but 65% of its gross domestic product . . . The G8 focuses mainly on geopolitical and security issues, including its relations with Africa. The newer and broader G20 — which includes China, India, Brazil, Turkey and Mexico — focuses on global economic issues. The Deauville meeting will cover aid needs for Egypt and Tunisia, the conflict in Libya, repression in Syria and nuclear safety. The G8 has no permanent secretariat and its decisions are non-binding. A rotating presidency lets each G8 country chair the forum for a calendar year and organize and host the annual summit. The order of rotation is France, the United States, Britain, Russia, Germany, Japan, Italy and Canada. France’s 2011 presidency marks its sixth turn as G8 chair, and coincides with its year-long G20 presidency’. USA TODAY’s Richard Wolf reports that ‘[t]here may be just 4.5 million people in Ireland, but there are 36.3 million in the United States who claim Irish ancestors. That includes at least one in eight in key states such as Pennsylvania, Ohio, Missouri and Indiana’. In other words, in the run up to the 2012 election, Barrack Obama is arguably using his trip abroad to bolster his domestic support. While the President is traveling Europe, South Asia has arrived in the U.S. in the form of a court trial in Chicago. The BBC reports that ‘Tahawwur Rana is accused of giving cover to a former friend, David Headley, who admitted scouting sites for the attack. He is expected to testify against Mr Rana. The trial is likely to shed light on alleged links between militant groups and the Pakistani secret intelligence service. Mr Rana denies the 12 charges that have been levelled against him. His lawyers say he was tricked by Headley, a longtime friend from their days at a Pakistani military school. Mr Rana was arrested in 2009, and if convicted, he faces a life sentence’. Rana is accused of involvement in the terrorist onslaught on Mumbai in ‘November 2008, [when] a group of 10 gunmen the US says were trained by militant group Lashkar-e-Taiba attacked the Taj Mahal and Oberoi hotels, a Jewish centre and a major train station, each of which Headley had scouted in advance’. Anissa Haddadi, “Barack Obama’s European trip: What do his detractors have to say?” International Business Times (24 May 2011). http://uk.ibtimes.com/articles/151036/20110524/obama-s-european-trip-what-do-his-detractors-have-to-say.htm. Anissa Haddadi, “Barack Obama’s European trip: What do his detractors have to say?”; “Royal Wedding Woes” A Pseudo-Ottoman Blog (30 April 2011). https://sitanbul.wordpress.com/2011/04/30/royal-wedding-woes/. “What is the G8 and what does it do?” Reuters (25 May 2011). http://www.moneycontrol.com/news/features/whatistheg8andwhatdoesitdo_546236.html. “What is the G8 and what does it do?”. Richard Wolf, “President Obama’s European Trip Could Pay Benefits Abroad, At Home -1” USA Today (22 May 2011). http://abcnews.go.com/Politics/president-obama-european-trip-g8-summit-buckingham-palace/story?id=13643596. “Tahawwur Rana Mumbai terror trial begins in Chicago” BBC News (23 May 2011). http://www.bbc.co.uk/news/world-us-canada-13506041. “Tahawwur Rana Mumbai terror trial begins in Chicago”. Jeremy Page writes that ‘Pakistan’s defense minister said China has agreed to take over operation of the strategically positioned but underused port of Gwadar, and that Islamabad would like the Chinese to build a base there for the Pakistani navy. 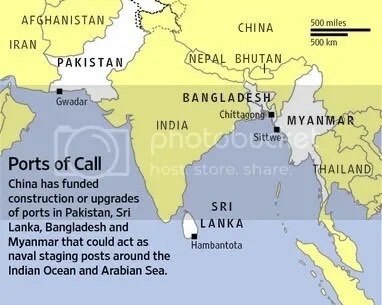 Ahmad Mukhtar gave no clear timetable on the possible change at Gwadar, on Pakistan’s western coast, which is currently managed by a Singaporean government company. But his statement Saturday [, 21 May] is the latest illustration of how Pakistan is portraying China as a powerful alternative ally and aid source if the U.S. scales down military assistance for Islamabad in the aftermath of Osama bin Laden’s killing. China is eager to expand its influence in Pakistan over the long term, but is wary of the country’s chronic instability, which was highlighted late Sunday [, 22 May] when a Pakistani naval base was attacked in the western port of Karachi, about 300 miles southeast of Gwadar. Mr. Mukhtar made the announcement after accompanying Prime Minister Yusuf Raza Gilani on a visit to China last week. During that visit, Pakistani officials say, Beijing agreed to expedite delivery of a second batch of 50 jointly developed JF-17 fighter jets to Pakistan, possibly within six months. The fighter agreement prompted India’s defense minister, A.K. Antony, to express serious concern in a meeting with reporters late Friday [, 20 May] about the growing defense ties between China and Pakistan, and to assert that India’s only possible response was to build up its own military arsenal’. Will this situation evolve into a new proxy-arms’ race??? The outgoing superpower trying to hold on by means of supporting its “secular” neighbour in the sub-continent, while the up-and-coming superpower strengthens its ties with the northern contender, with the picturesque Kashmir valley in the middle as a potential battleground . . . Page adds that “Pakistani officials say Gwadar will be a trade hub for Central Asia and a transit point for Chinese oil imports, most of which are now shipped via the Malacca Strait, making them vulnerable to piracy or naval blockades”. China already has its pipeline to provide necessary energy imports via the northern route, and now the India-Pakistan rivalry seems to provide yet another access route. And on cue, Page also reports that “China and Pakistan . . . have discussed plans to build an oil pipeline from Gwadar to northwestern China, and two new stretches of railway extending the Pakistani network to Gwadar at one end, and to the Chinese border at the other”. Some time ago, Turkey and China signed a strategic partnership, with the former choosing to ignore the contentious issue of Xinjiang (or Eastern Turkestan) in favour of better commercial ties and resulting cash-flow. At the time, the news agency Reuters reported that ‘Turkey and China aim to treble bilateral trade to $50 billion (31 billion pounds) a year by 2015 and to $100 billion by 2020 under a new “strategic partnership,” the prime ministers of the two countries said on Friday [, 8 October 2010]’. Quite apart from the monetary gains and impressive figure, China also wants to keep its neighbour Pakistan closer to its bosom. During his four days official visit to People’s Republic of China last week, Pakistani Prime Minister Yousaf Raza Gilani signed a joint statement which includes the following significant line: “China believes that Pakistan’s efforts for promoting peace and stability in South Asia need to be recognised and supported”. In other words, China has decisively taken sides and now the ball is in America’s court. But in reality, China has always supported the Land of the Pure against its supposedly secular neighbour to the south. The International Relations analyst Dr Raja Muhammad Khan points out that the “[y]ear 2011, indeed marked the 60th anniversary of Sino-Pak bi-lateral relationship. Both countries established their diplomatic relationship in May 1951. In order to reaffirm their tireless friendship, both countries have declared year-2011, as the year for the celebrations of Pak-China diplomatic relationship. Both countries are holding a series of ‘commemorative activities covering fields like politics, economy, culture, education, sports and etc’. Under the dynamic leadership of Mao Zedong, [the] People’s Republic of China came into being from the ashes of civil war between Communists and Nationalists on October 1, 1949. Historically, ‘In China’s Tang dynasty, Hsuan-tsang, an eminent Chinese monk, studied Buddhism in Taxila on his pilgrimage to the west. His sojourn in [in the region now known as] Pakistan, recounted in a book entitled The Great Tang Dynasty Record of the Western Regions, is a popular account in the history of exchanges between the Chinese and [what we now refer to as] Pakistani people’. Starting his visit from the Chinese economic city, Shanghai, Pakistani Premier, had an in-depth meetings with the leadership of China. Apart from President Hu Jintao and Prime Minister Wen Jiabao, Prime Minister Gilani has met with the Chairman of the CPPCC’s National Committee Jia Qinlin and State Councillor Liu Yandong. The leadership of the China appreciated the ‘tremendous efforts and great sacrifice that Pakistan has made in fighting terrorism and reiterated its respect and support for Pakistan’s efforts to advance its counter-terrorism strategy and safeguard its security’. Both countries decided to jointly fight the threats posed by terrorism, extremism and separatism. Besides, reaffirming the bi-lateral cooperation, Chinese leadership and Pakistani Premier, also discussed the Afghan issue, in fact the cause of regional instability”. Afghanistan is now “the cause of regional instability” in the subcontinent as a result of the U.S.-led invasion and the unsuccessful fight against the local resistance, popularly known as the Taliban. In addition, the phantom-like TAPI pipeline project set to connect Turkmenistan and India could also be seen as part of the upcoming U.S.-China rivalry. Pakistan is weary of Indian penetration into Afghanistan, as it could destabilise the status quo in the contested region of Kashmir. China’s investment in Afghanistan, on the other hand, is probably seen as a prudent option by the Pakistani authorities. Now that President Obama has killed Usamah bin Laden in the city of Abbottabbad, the justification for further deployment of U.S. troops and mercenaries appears rather thin. As a result, Barrack Obama’s alliterative mantra will no doubt be re-employed in the weeks and months to come: “to disrupt, dismantle and eventually defeat al-Qaeda”, in spite of the fact that there is no real presence on the ground in the Hindu Kush to warrant the use of the name Al Qaeda, so that nowadays, the Taliban have become the proxy-Al Qaeda operatives that need to alliteratively smashed and beaten by the U.S. and the ISAF forces. All the while, China keeps pouring money into the mountains while the 1980s are being replayed on the battlefield: “Today’s mujahedeen, known as the Taliban, again seem to enjoy the support and fighting power of non-Afghan militants. The Taliban and [some] non-Afghan militants, whom ISAF refers to as ‘al-Qaeda and foreign fighters’, are once again engaged in a jihad to drive an occupying force of unbelievers from Afghan soil — but this time, these unbelievers are Americans and their allies”. Brahma Chellaney, professor of strategic studies at the Centre for Policy Research in New Delhi, remarks insightfully that “China is trying to undercut the U.S.’s numerous interests in Pakistan . . . Gwadar was the linchpin of [the] ‘string of pearls’ strategy and the latest news adds to that. India faces a unique challenge that no other country does. Its two nuclear armed neighbors are closely aligned and are stepping up joint military programs. India will have to step up its deterrent capabilities”. Or, as I said earlier, the subcontinent is gearing up for a new proxy-arms’ race . . .
 Jeremy Page, “Beijing Agrees to Operate a Key Port, Pakistan Says” The Wall Street Journal (May 2011). http://online.wsj.com/article/SB10001424052702303654804576339323765033308.html. Jeremy Page, “Beijing Agrees to Operate a Key Port, Pakistan Says”. “Turkey and China eye more trade in ‘strategic partnership’” Reuters (08 October 2010). http://uk.reuters.com/article/2010/10/08/uk-turkey-china-idUKTRE69745D20101008. Dr Raja Muhammad Khan, “Sino-Pak ties: Sealing new heights” Pakistan Observer (23 May 2011). http://pakobserver.net/detailnews.asp?id=93691. Dr Raja Muhammad Khan, “Sino-Pak ties: Sealing new heights”. 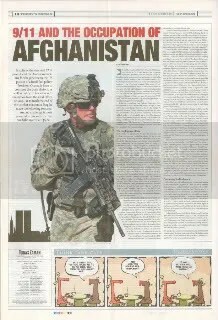 C. Erimtan, “The war in Afghanistan: jihad, foreign fighters and al-Qaeda” Today’s Zaman (25 September 2010). http://tiny.cc/e7xft, “9/11 and the Invasion of Afghanistan” A Pseudo-Ottoman Blog (14 May 2011). https://sitanbul.wordpress.com/2011/05/14/911-and-the-invasion-of-afghanistan/. President Barrack Obama speaks on America’s unbreakable bond with Israel at the AIPAC Policy Conference 2011 at the Walter E. Washington Convention Center (22 May 2011). During his speech, the President could not help but mis-speak a little bit, while referring to Iran’s Ahmadinejad and his oft-misquoted statement. At first, Obama somewhat stuck to the Iranian’s original words that “[t]his occupation regime over Jerusalem must vanish from the page of time”, but then, arguably keeping his audience in mind, the U.S. President corrected himself turning the “map” into the “earth”, as disappearing from a map is arguably in line with vanishing from the page of time and wiping off the earth has a tone of finality about it that smacks of Endlösung and Holocaust. Rather than calling for the destruction of Israel, President Ahmadinejad was arguing in favour of a one-state solution, which would indeed lead to the end of a uniquely Jewish state in the region. In Israel’s left-leaning newspaper Haaretz, Natasha Mozgovaya writes that “President Barack Obama’s speech Sunday at the American Israel Public Affairs Committee (AIPAC) comes on the heels of three contentious days of U.S.-Israel diplomacy, beginning with the president’s vision of peace negotiations on Thursday [, 19 May] and continuing with Prime Minister Benjamin Netanyahu’s public rebuke of that vision on Friday [, 20 May]. But was the AIPAC crowd swayed by his attempts to explain himself? AIPAC issued an official statement following the speech expressing appreciation for Obama’s assurance that the U.S. does not expect Israel to withdraw to the lines that existed on June 4, 1967, and was also glad the U.S. president explicitly condemned Hamas as a terrorist organization. National Jewish Democratic Council President David Harris said that in his opinion, Sunday’s speech included ‘a very helpful explanation of the 1967 parameters that some misunderstood and some purposefully distorted. This will dramatically help the president with going forward. I was deeply gratified to see the tremendously warm reception he got throughout the speech – it was more than a polite minimum the folks here were expected to do. He got clearly genuine support throughout his address. It shows that even in this room in the heart of the pro-Israeli advocacy in the country there was a clear recognition of the fact that the status quo is not sustainable’”. Mozgovaya adds that “[t]here actually was one solitary ‘boo’ in the middle of the speech, when the president tried to explain what he meant by the ‘1967 lines’. But there was much applause too”. Natasha Mozgovaya, “Obama met with applause at AIPAC, but with a boo or two too” Haaretz (22 May 2011). http://www.haaretz.com/news/diplomacy-defense/obama-met-with-applause-at-aipac-but-with-a-boo-or-two-too-1.363396. Natasha Mozgovaya, “Obama met with applause at AIPAC, but with a boo or two too”. President Obama welcomed Israeli Prime Minister Benjamin Netanyahu to the White House on Friday, 20 May, one day after the president’s policy speech on the Arab world and Israeli-Palestinian relations called for a return to pre-1967 borders, a state Mr. Netanyahu called “indefensible”. After a closed door meeting, Netanyahu reiterated that “Israel has certain security requirements”.